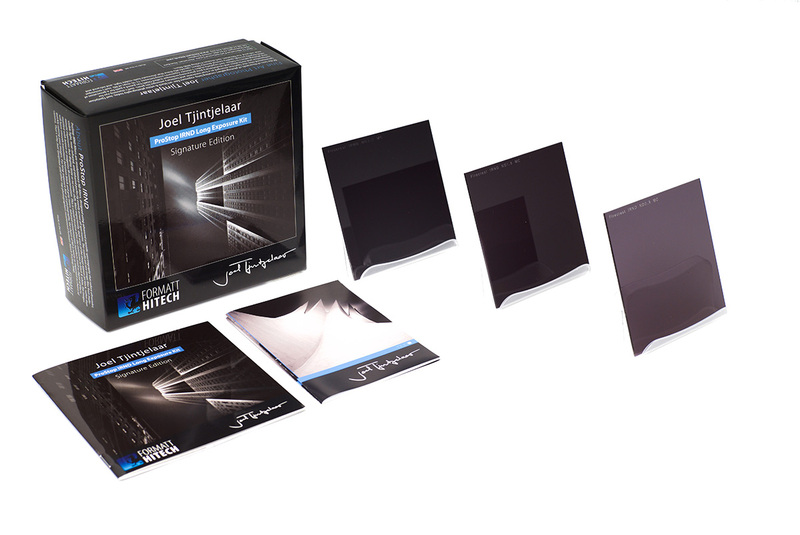 Formatt Hitech recently updated the best selling Joel Tjintjelaar Signature Edition Long Exposure Kit with the addition of the brand new and most neutral filters in the world, the Firecrest Filters. You can order the new long exposure photography kit directly from their website by clicking here (edition #2 up to 16 stops) or here (edition #1 up to 10 stops). 1. 3 stops, 6 stops and 10 stops Firecrest Filters. 4. Long exposure conversion chart. You can choose between circular filters or rectangular filters. You can here (edition #1 up to 10 stops) to order the filters straight from the Formatt-Hitech website. The kit is available in both circular or rectangular format. Pictured above are the circular filters. 1. 10 stops, 13 stops and 16 stops Firecrest Filters. Again, this kit is available in either circular or rectangular format. You can here (edition #2 up to 16 stops) to order this kit from the Formatt-Hitech website. The kit is available in both circular or rectangular format. Pictured above are the rectangular filters. What is more practical: kit# 1 or kit# 2? It really depends on your habits and preferences. I like to use exposure times of around five minutes and I do most of my shooting in the afternoon. 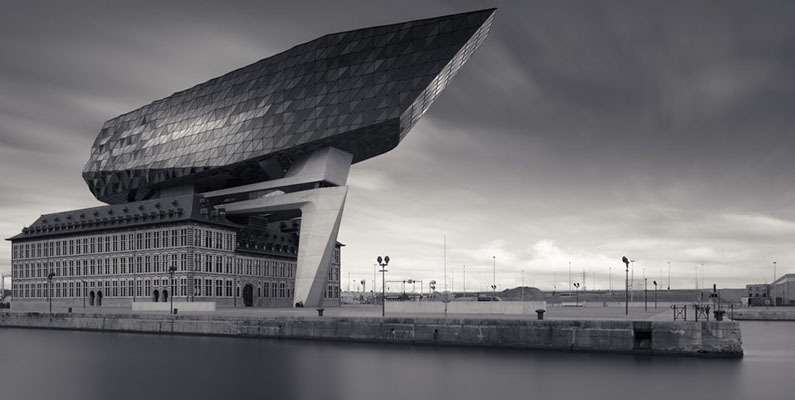 To achieve such a long exposure photograph I will definitely need some dark glass. A 13 stops or 16 stops light reduction usually does the trick. When it gets darker in the late afternoon, I might need to take a step back and use the 10 stops Firecrest Filter instead. I rarely use a 3 or 6 stops filter. So for me, kit #2 is ideal. If you rarely use exposure times longer than 1 minute, kit #1 might be ideal for you. 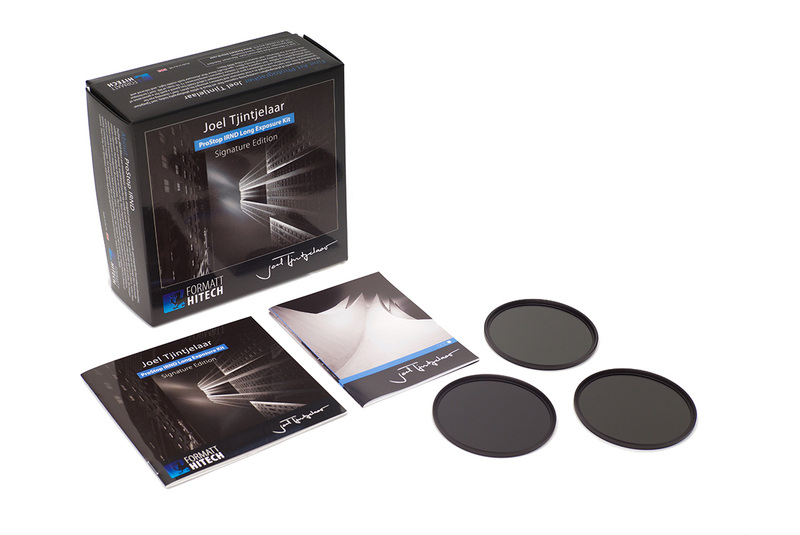 If you need a longer exposure time, you can still stack up your filters for 13, 16 or 19 stops of light reduction but stacking filters will also come with increased vignetting. Which is not the case with the ultraslim circular Firecrest 13 or 16 stops filters. In the past I always preferred the use of rectangular ND filters. It does take more time to setup, light leakage can become an issue, but there is no vignetting. The new Firecrest Filters are so thin that vignetting is almost no issue at all when you stack your filters. With the use of a single 13 stops or 16 stops filter, stacking won’t be necessary any more. No stacking means no vignetting. So should you use circular filters instead? It depends. It is of course very convenient to travel with just one camera, one tripod and one filter. On the other hand, a small, little filter is easily lost. It can also be nerve racking to try and screw on such a little, expensive piece of hardware onto your camera when you want to shoot a seascape in bad weather with wind and rain. But my experience is that the very thin circular filter let itself screw onto the lens very easily. The statement ‘most neutral filter in the world’ may sound to many as just a marketing statement. But this statement is also based on various test results from various sources. You can read some of the reviews, including my own review, via the following links below, or just read the conclusions here. Note that I haven’t been looking for just the best reviews, what I present here are the reviews I found through my circle of contacts and the Google Internet search results from the first pages in a random order. What I want to mention and even emphasize here is how this filter makes me feel. Yes, a filter can make you feel something. And in my case, working for some time with the Firecrest 16 made me feel inspired. It made me see the world around me in a new way, because it opened for me new creative possibilities, making possible some of the things that were not an option before. As I was saying earlier, it solved some practical aspects freeing my mind and giving me more time to think about the creative part of my work.” and “The first impression you have when you hold the circular filter in your hand is to wonder how can this filter be so slim and still cut off so much light. I’m sure all long exposure photographers will agree with me, especially those who started with regular circular ND filters that, if stacked, would give you a quite thick result. (…) The difference in thickness is mind blowing and what this change gives me besides the lack of color cast? It’s the lack of any vignette, no matter how wide the lens I use is. This practically makes your usable image area at least 15-20% larger. I am no expert in filters nor a product endorser and so this is not in any way an official review because I have no authority in any level on this regard. However, I just want to share my simple test to establish proof that FireCrest 16 Filter being neutral is not a hype. I used Nikon D800 with 24mm PS-E lens. My white balance was set to “Cloudy” on both short and LE shot. Please note that the images are straight from RAW and you can see the shot settings on the corresponding screenshots on ACR. The images were resized to 1024px with 72dpi and converted the color space to SRGB. In conclusion based on this simple test, I believe Firecrest 16 filter is indeed color neutral. One look at the Firecrest 16, it looks like any ND filter that you might already have. However, once held, you feel a considerable difference in weight. It feels so light. All around, construction and quality is definitely there. Another noticeable difference would be the thickness of the filter. It is so thin which prompted me to do a side by side comparison between my other ND filters. What I like about the super thin construction would be using the filter with my CPL filter. As I need to stack the filter, being thin is better” and “I am definitely surprised at how neutral the results were. Here you can see and make a judgement for yourself. I am truly pleased with the results. The Firecrest ND 16 sets the new standard for long exposure photography. The colors are amazing naturally, instead of the other brands. I always worked with the Lee Big Stopper, but the Firecrest will be my new favorite ND filter. Why? Simple: natural colors, no vignetting. There is only one imporant thing to mention. The Firecest ND 16 is only an interesting solution under light conditions. At more dark, cloudy conditions the exposure time rises to 15 minutes or even longer. A 10 stops ND filter is a better choice then. These are available too in the wonderful Firecrestline.